Isle of Man TT frontrunner Lee Johnston will be lining up for this year's races on new look BMW and Yamaha machinery. The TT Supporters' Club has announced that Maria Costello is to be the recipient of the Susan Jenness Trophy for 2016. TT 2017: Will Guy Martin make a comeback this year? What is Mad Sunday on the Isle of Man? The Sunday of the middle weekend is known as Mad Sunday. But why? Ian Hutchinson made it two wins in a day when he smashed the lap and race records in Monday afternoon's Superstock 1 TT race, the Yorkshireman leading from start to finish to take victory by 27 seconds. TT 2016: Another tragedy on the island course. Sidecar driver Ian Bell killed today. Michael Dunlop shattered his own outright lap record in the 2016 Senior TT, lapping at average speed of 133.962 mph on his way to his 13th TT victory. The Northern Irish rider was involved in an incident at Sarah's Cottage in the first practice session. After months of speculation and years of deliberation, Vision Nine, has been appointed as the promoter of the Isle of Man TT. 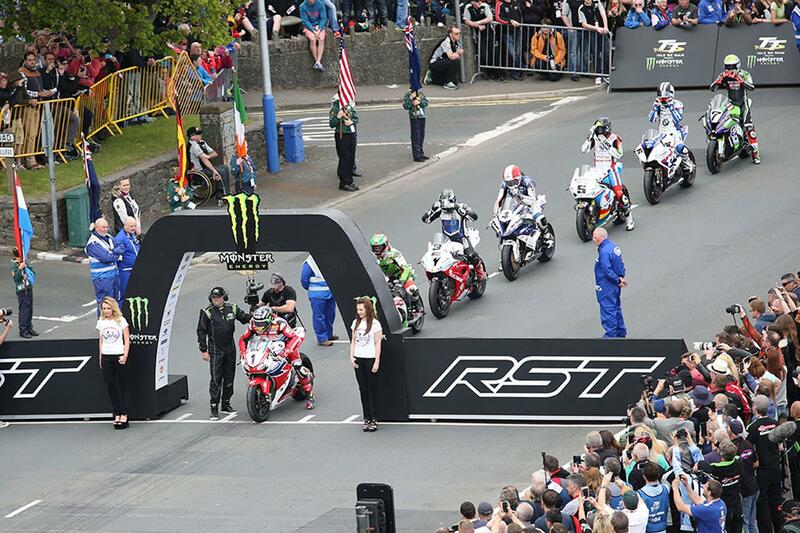 Big news for the future of the Isle of Man TT races as a new global management partner may soon be announced.